Deforestation still generates about 10 percent of all greenhouse gasses, and it’s also concentrated in certain countries, districts, and provinces. That’s why the Tropical Forest Alliance is marking the UN’s International Day of Forests with a deep dive into efforts to create forest-friendly jurisdictions. 21 March 2017 | In January of this year, consumer-goods giant Unilever agreed to help three small and remote Indonesian villages change the way 600 farmers harvest palm oil. That might not seem like a big deal on a planet of 7 billion people, but if the company is able to successfully help one of those villages, Pangkalan Tiga, become the world’s first “certified sustainable palm-oil village”, it will then replicate their model across the country and around the world – which may be the only way it can deliver on its promise to use 100% certified sustainable palm oil by 2019, and will certainly clear the path for other companies to do the same. Unilever’s actions matter because the company has long been ahead of the pack on the sustainability front, and a decade of experience has convinced the bosses that it can better meet its commitment by purchasing from certified counties and provinces than by dealing with tens of thousands of individually-certified farmers; and it’s not alone. 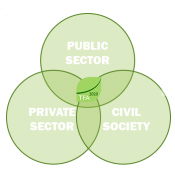 The 85+ companies, NGOs, and governments that form the Tropical Forest Alliance 2020 (TFA2020), have reached the same conclusion. TFA2020 coalesced in 2012 after consumers began demanding more environmentally-friendly products. It’s since launched 33 initiatives designed to reduce corporate impact on deforestation, with eight more in the design phase, according to its most recent annual report, and most of these incorporate “Produce and Protect”, which is the term they coined to describe jurisdictional efforts that improve regional sustainability. The alliance begins its Second Annual General Assembly today in Brasilia to honor the International Day of Forests, and you’ll be hard-pressed to find a session that doesn’t at least touch on “jurisdictional” efforts. The Forest Trends Supply Change initiative tracks corporate activities around palm, cattle, soy, and pulp & paper – which are the “big four” commodities responsible for most of the world’s deforestation. Last year, it found that four countries showed up in 88 percent of the corporate supply chains it monitored: namely, Brazil, Malaysia, Indonesia, and Paraguay. Each of these countries has incredibly rich biodiversity and dangerously high rates of deforestation – and since almost every corporate supply chain passes through them, then companies should be explicitly working to address the way they do business there. For that reason, Supply Change is now tracking geographically-specific commitments that companies make, and will begin reporting on the progress they report in delivering on those commitments. Already, several clear and distinct strategies have emerged. The most obvious way for companies to deal with high-deforestation zones is to avoid them, which is what US-based Kellogg Company as well as France-based Carrefour and Nutrition et Santé have done. All three have foresworn soy from high-deforestation areas and are instead buying primarily or exclusively from domestic producers. While admirable, most companies find it challenging to shift production like that, and doing so might backfire on the end goal of managing deforestation if it drives up desperation among farmers and leaves a vacuum for bad buyers to fill, perversely accelerating forest destruction. Companies can, then, choose to stay in high-deforestation areas and engage suppliers to make them better. Many companies that Supply Change tracks do this by only purchasing commodities certified to a recognized standard. Others, like Mars and Danone, are working directly with hundreds of thousands of small farmers to help them shift to sustainable practices, while still others are signing on to collective arrangements like Brazil’s Soy Moratorium. That effort engages farmers in the Amazon biome by getting major trading groups like Bunge and Cargill to forego soy that comes from recently-deforested land there. On the cattle front, also in the Amazon, meatpacking groups like JBS, Marfrig, and Minerva have signed the G4 Cattle Agreement, which commits them to buy only from direct suppliers that don’t deforest. As with all things, companies must wrangle with inherent limitations. All of these efforts require expensive and complicated monitoring systems that are difficult to scale up – that is where the “Produce and Protect” concept comes in. With the Indonesian project, Unilever is trying to engage entire jurisdictions rather than individual producers – a practice they and Marks & Spencer endorsed at the 2015 Paris Climate Talks, when both companies pledged to buy raw materials from jurisdictions engaged in REDD+ (the part of the Paris Agreement that funnels carbon finance into forest conservation) and to generally buy from counties, states, and provinces that actively work to improve sustainability. Getting there, however, is neither easy nor well-mapped. Unilever’s Indonesian effort aims to first help every individual farmer in Pangkalan Tiga get through the certification processes of the Roundtable on Sustainable Palm Oil (RSPO) and the Indonesian Sustainable Palm Oil (ISPO) system, and only then will it attempt to certify the entire village. It’s a complex process that involves the municipality as well as the government of Kotawaringin Barat, which is the district in which the village lies, and the province of Central Kalimantan, as well as a local NGO called Yayasan Penelitian Inovasi Bumi (INOBU). But that’s just one model, and it’s different from the ones that Brazil’s Green Municipalities programs are following, which are different from the one that The Nature Conservancy and TFA2020 are piloting in another Indonesian province, East Kalimantan. No one really knows which of these models will deliver results, but the ultimate solution will probably be a kind of Brazilian Jiu Jitsu that combines the most effective elements of each while building on the strengths and avoiding the weaknesses of the various players, as one of today’s panel descriptions indicates. By tracking corporate actions geographically, we hope that Supply Change can also help us all understand more clearly what works, what doesn’t, and why.